We've been anticipating the official launch of screen sharing in Duo for about many months, ever since a teardown in mid-October revealed it to be in development. We've even seen basically what it looks like, albeit just as a sample. Now with the rollout of v34, we can all begin sharing our screens with friends, or more likely, help our parents fix something that's not working on their phones. Well, we could try to do that, except screen sharing is kinda totally broken. Left: Screen sharing button. Center: Screen recording dialog. Right: Recording is live. The setup procedure works exactly as you might expect. 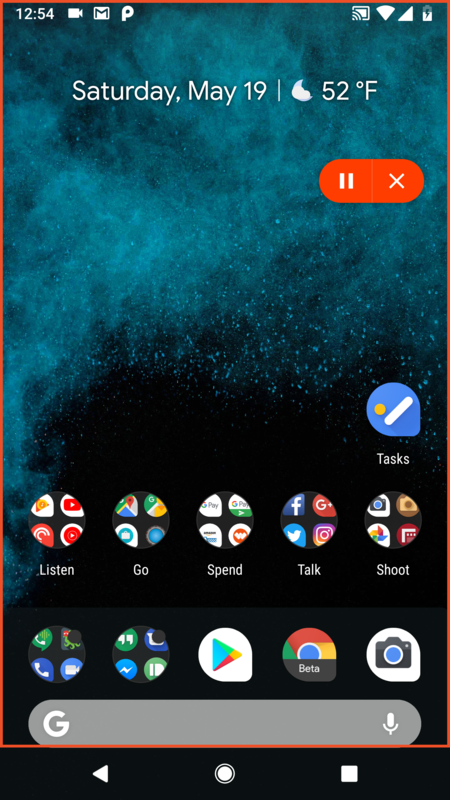 Just tap on the screen sharing button, the one closest to the floating mirror button (tap the screen if those extra buttons aren't visible). 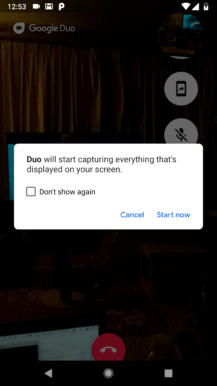 You'll be prompted to allow Duo to record your screen, then you'll be taken to your home screen where you'll see a red outline circling the part of the screen that's recorded, plus a small floating pill with pause and stop buttons on it. From here, you can use your phone just like normal, but the screen will be sent out to the person you're chatting with. Unfortunately, that's not the experience you're going to have. 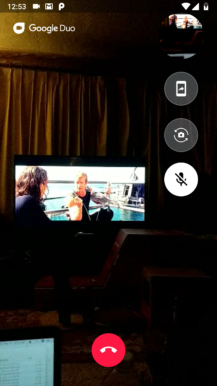 Instead, the receiver of the screen share is going to see that the image coming from the sharer is frozen. You can try switching camera angles, and even the sharer can end the screen share session, but the image will not unfreeze until the call is over. Note: Tor the sake of testing, I've tried sharing from three different phones running on different versions of Android, and even cleared data on all of them, just to be safe. They all behave the same way. Readers are welcome to test this for themselves, just in case this is a fluke only affecting my combination of devices or accounts. This isn't the first feature rollout on Duo to experience issues this year. Google account linking rolled out in March with the promise that users could contact each other with the knowledge of each other's email address, but it seems that part was never actually enabled – or at least it's still not working on my side. I have a feeling we'll be seeing an update to the app in the next few days that should fix the freezing issue. There is a single line that points to a worthwhile new feature. Currently, if you receive a video message, your only option is to call back the sender and start a live conversation, or leave another message if they aren't available. It seems there may be a "Reply" action coming in the future that will allow you to record your own message and pass it back to the original sender. This makes sense, especially if you receive the message much later and it would be a bad time to call back, like after bed time for the original sender. Although, once this is added, it makes less and less sense to require one person make a call to begin the chain, so I wouldn't be too surprised to see Duo adding the ability to send video messages without requiring a call at all. 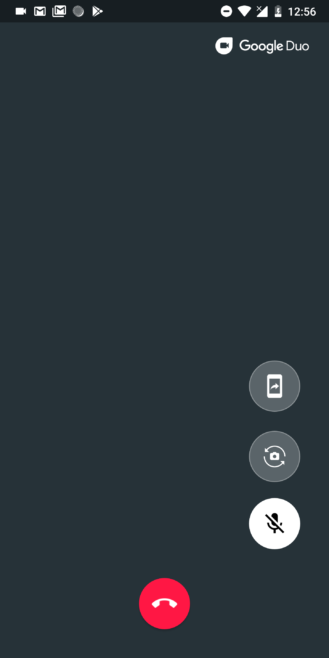 Correction: Whoops, that's already possible in the long-press menu on a contact.